Blood is the mysterious component to the power of Jesus' salvation. Blood seems like such a terrible topic to discuss with kids. BUT understanding the Power in the Blood of Jesus is critical to Christian faith. Our children need to know about it. Without it, they cannot understand their salvation. What is it about blood, which we normally think of as grotesque, that has caused Christians in every generation to actually celebrate it? We cannot possibly fully understand our salvation and what it does for us if we do not understand the important sacrifice of Jesus on the cross. It is one of the most critical and foundational topics you can teach your children. Through the blood, we gain access to God in worship and prayer. The Bible tells Christians to come boldly into God’s presence, “We have confidence to enter the holy places by the blood of Jesus” (Hebrews 10:19). If you are a Christian today, you can have boldness and confidence as you approach God with your prayers and your worship, because you are no longer far away from God, “Now in Christ Jesus you who once were far off have been made near by the blood of Christ” (Ephesians 2:13). This is a thorough study on what the Bible has to say about it from Genesis to Revelation, and it’s relevancy to our lives and salvation. These lessons help our children make sense of how the Old Testament Bible stories are important to understanding Jesus and His sacrifice. Much time is spent describing the Old Testament Tabernacle of Moses, and it’s relationship to animal sacrifices, which were the types and shadows of Jesus’ future sacrifice. 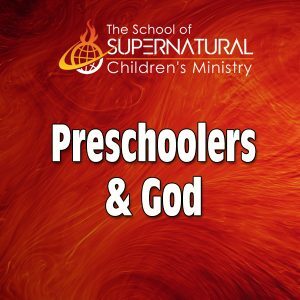 From the sacrifice of the Passover Lamb, to the sacrifices of bloods, bulls, and goats, the children learn how they were used until the ultimate, perfect sacrifice of Jesus could be made. In the Old Testament, God laid out a divine plan to restore His people back to Himself through what is known as the Mosaic Law. This Law required the shedding of blood as a sacrificial offering to cover the sins of mankind. Most of us are aware that after the fall of Adam and Eve in the Garden that God Himself prepared the first blood sacrifice. Adam and Eve were ashamed, due to their sin, and attempted to “cover” themselves with fig leaves. However, the covering mankind attempts to provide for himself is unacceptable to God. Only God can adequately deal with our sin, and that requires the shedding of blood just as it has from the Garden. God so desired fellowship with man that He, Himself, shed the blood of animals and brought their skins to provide a covering for the sins of Adam and Eve. This act was the way God “redeemed” mankind from sin—through the shedding of blood. This became a foreshadowing of a covenant with all mankind. In the Old Testament, after the Law was given, the blood of lambs and other animals was required to make mankind “righteous.” But please note that the blood of animals was atonement (cover) for sin, but because it was only the blood of an animal, it had limited efficacy (see Leviticus 4:35; 5:10; Psalm 85:2). When Jesus was born, however, He was destined to be our sacrificial lamb, born to die for our sins. His death at the Cross didn’t simply “cover” sin forward a year—no! It completely “removed” the sins of mankind—forever! (see John 1:29; 1 John 1:7; Revelation 1:5). Children are not to young to learn about this adult topic. When taught simply and on their level of understanding, it has fascinated boys and girls for generations. This subject helps them connect the Old Testament stories with the New Testament, and the Bible as whole, begins to make sense. By studying this topic, they truly learn what the Bible is all about. For those who use our entire set of curriculum, this is one of the most colorful and popular series we have. 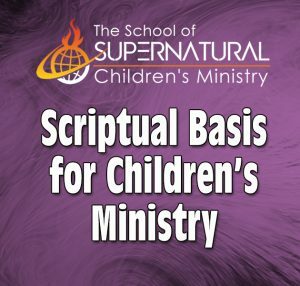 Our curriculums are uniquely designed for use in Pentecostal, Charismatic, and Spirit-filled Churches. You’ve never have never heard it taught this way before! Each curriculum is unique. We assume once the children are moving in things like hearing Gods voice, the teachers will review and refresh and make it a lifestyle form that point on. We have 11 different curriculums, so it’s impossible to overlap every topic. Thank you for your kind words. You will love There’s Power in the Blood. Prayer times at the end of every lesson typically relate to the teaching itself. You as the teacher are to bring in continued practice of hearing God’s voice. “sara” wrote on Amazon.com: I would recommend all products by this ministry, everything we have used has been amazing. My daughter has really grown and understood the deeper things of God through what we have used so far. Highly Recommend. 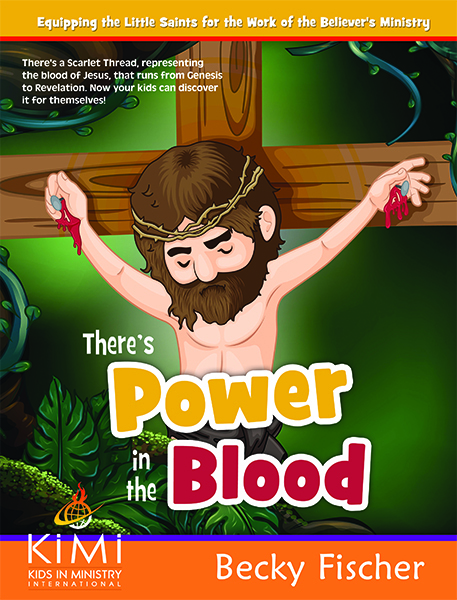 Tina Berg wrote on Amazon.com: We have used this curriculum in our children’s church to teach children about the power of the Blood of Jesus. Nothing before or since has impacted them quite like this. This is a wonderful product with an additional visual kit that brings the story of salvation and healing to life. Highly recommended! Monica McKeen wrote on Amazon.com: This was so easy to teach from. I am a Children’s Pastor, so I loved using it in church. But I would also do this with my daughter at home as a devotional and not only did it help her and my kids in church but I found I was learning more about the deeper things in the bible myself. Jody E. Gafford wrote on Amazon.com: Becky’s scope and sequence is expertly woven together from Old and New Testament accounts as she tackles the meat of the Word and articulates these truths in a manner that children and adults can understand. I have read many books pertaining to the Blood, but I must say, I haven’t really understood the Covenant that we have through our salvation as clearly, until reading this curriculum. One’s faith cannot help but be stirred as we learn about the prophetic scarlet thread woven through history pointing to the death and resurrection of Christ and what that means to all Christians. “Autumnfranks” on Amazon.com wrote: We are on lesson 3 now, and it seems to be good so far, It is deep to point that It is teaching me stuff! I like it, but my only con is the activity part for review questions/play skit-It could get boring or repetitive for the kids, therefore I will try to make up my own games and acvt after the lesson. It is a lot to pack in one class so we usually do the intro lesson with the 3 object lessons that go with it. Warning: Be prepared to put a lot of prep time in these curriculums, study and visual. It is worth it if your wanting to carry your kids deeper in Christ. “coolmom” wrote on Amazon.com: Amazing! Informative! 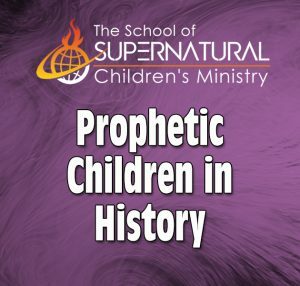 If you want your kids to understand why the blood of Jesus is important, why it is needed, and why it had to be Jesus’ blood, then this curriculum is for you. I taught this curriculum to two different kids’ classes, and I taught it to our adult congregation on Wednesday nights. Almost every adult church member came to me at different times and told me they were learning the meat of the word more than they ever had on this subject. 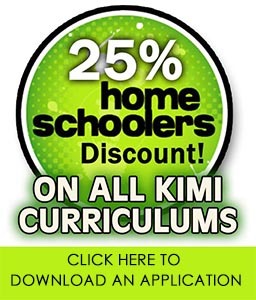 If you are looking for your children to grow in God, then her curriculums are for you. I have taught them all at various times. This one is my particular favorite. But be prepared to be taught and challenged yourself!